Looking to increase the space in your property now that your family is expanding? Or simply wish for your very own studio? If so, there’s only one company that you need to call; Firtree Builders. Combining many years of experience, superb craftsmanship and a dedicated team of experts, we are the obvious choice for your loft conversion specialists in North London. To find out more, call us on 07957 574 604 today. Are you struggling to find space after a new addition to your family? Or embarking on a new freelance or home-based career that requires your very own office or studio space? If so, a loft conversion could be a highly ideal option. As the most exceptional loft conversion specialists North London has to offer, we are perfectly placed to offer such a service. With our years of experience, friendly team and dedication to providing only the best, we are the obvious choice. To find out more about the most exceptional loft conversion specialists in North London, get in touch with our friendly and helpful team by calling us on 07957 574 604 today. There are many advantages to opting for a loft conversion as opposed to moving into a new property to accommodate your growing household. Firstly, a loft conversion can add considerable value to your property, especially if you are converting it from a two bedroom house to three. In some cases, as North London loft conversion specialists, we can even create an additional two double bedrooms and a shower room! Better still, most loft conversions do not require planning permission, meaning they can be installed in as little as 6-7 weeks. 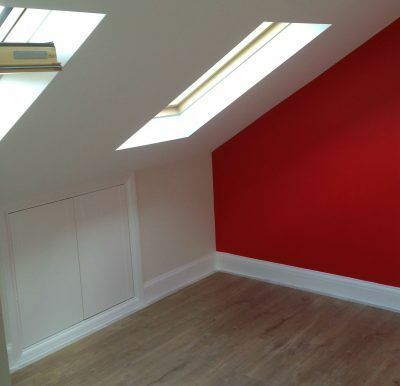 At Firtree Build, we are not only loft conversion specialists in North London. We pride ourselves on having a wealth of experience and expertise in home extensions, making us ideally placed for the transformation of your home. Better still, we pride ourselves on being a Which? trusted trader, as well as an FMB Associate Member. Therefore, you can rest assured that your home is in safe hands when you choose our dedicated team of experts. Do you still need convincing that Firtree Build is the obvious choice for your North London loft conversion specialists? If so, why not peruse through our online image gallery, where you find photos of the stunning projects we have completed for an array of highly satisfied clients. As soon as you do, you will soon understand that we are simply a cut above the rest. As the finest loft conversion specialists North London offers, it should come as no surprise that we have amassed a reputation for our services, which are truly second to none. Additionally, the majority of our work is the result of word of mouth and recommendation from happy clients, meaning you can rest assured that our service is the highest quality. To find out more about the most exceptional loft conversion specialists in North London, get in touch with our friendly and helpful team by calling us on 07957 574 604 today. Alternatively, you can email us at info@firtreebuild.co.uk, or fill out our simple online enquiry form, and we’ll get back to you as soon as possible.